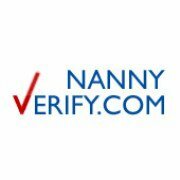 A Nanny Background Screening You Can Trust! Home / Our Blog / A Nanny Background Screening You Can Trust! HomeWork Solutions has facilitated caregiver and nanny background check services for families through its website and sister site NannyVerify.com for nearly two decades. HWS was exceptionally choosy when selecting a background screening partner - we know that the caregivers and nannies will be caring for your children and loved ones and recognize the importance of having a thorough, ethical partner. "I made a bad - and potentially dangerous - nanny hiring decision years ago, long before nanny background screening became so accessible," reports HWS' Kathy Webb. "That experience opened my eyes and made me passionate about educating families about nanny hiring best practices and providing families a means to get a thorough, accurate caregiver pre-employment background screening." HWS has sourced its nanny background screening through National Crime Search for many years. 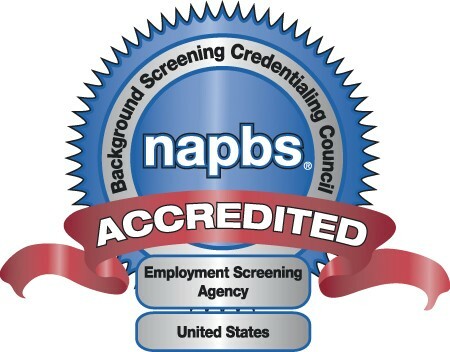 We are delighted to share that the National Association of Professional Background Screeners (NAPBS®) Background Screening Credentialing Council (BSCC) announced that National Crime Search has successfully demonstrated compliance with the Background Screening Agency Accreditation Program (BSAAP) and will now be formally recognized as BSCC-Accredited. "We believe our customers deserve the best," said Travis Fink, HWS partner and president of National Crime Search Inc. "Our customers count on us to provide outstanding customer service and accurate results. Our NAPBS accreditation shows our continued commitment to providing the highest level of data security, compliance and professionalism." Each year, household employers request tens of thousands of consumer reports to assist with critical household staffing hiring decisions involving background screening. Background checks for nannies and caregivers, which are categorized as consumer reports, are currently regulated at both the federal and state level. Since its inception, NAPBS has maintained that there is a strong need for a singular, cohesive industry standard and, therefore, created the BSAAP. Governed by a strict professional standard of specified requirements and measurements, the BSAAP is becoming a widely recognized seal of achievement that brings national recognition to background screening organizations (also referred to as Consumer Reporting Agencies). This recognition will stand as the industry "seal," representing a background screening organization's commitment to excellence, accountability, high professional standards and continued institutional improvement. The BSCC oversees the application process and is the governing accreditation body that validates the background screening organizations seeking accreditation meet or exceed a measurable standard of competence. To become accredited, National Crime Search was required to pass a rigorous onsite audit, conducted by an independent auditing firm, of its policies and procedures as they relate to six critical areas: consumer protection, legal compliance, client education, product standards, service standards, and general business practices. HWS congratulates National Crime Search and invites anyone hiring a household employee to review our Household Employee Background Screening FAQ prior to making the hiring decision.